Thornton is a thriving community 20 minutes north of Denver and Hunter’s Glen is our favorite neighborhood in town. 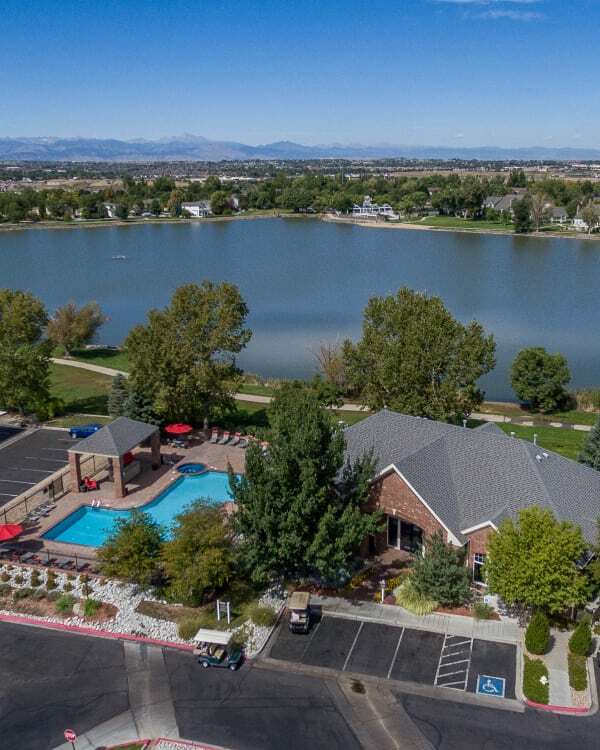 With stunning mountain and lake views, community amenities, and easy access to Metro Denver, what more could you ask for? Promenade at Hunter’s Glen Apartments puts you lakeside and within minutes of walking trails, fishing, and golfing. We are less than 10 minutes from The Orchard Town Center, with great shopping, dining, community services, and a movie theater. Many of our residents work in Hunter’s Glen or the greater Thornton area. Some of the larger employers in the area are Adams 12 School District, Dish, Comcast, City of Thornton Police Department, and Northglenn Police Department. Those commuting to Metro Denver will appreciate our close proximity to I-25 and Wagon Road Park and Ride. The Park and Ride provides direct bus transit to downtown Denver, as well as a stress-free ride to Denver International Airport. Wagon Road Park and Ride is also served by RTD’s SportsRides. Leave your car there and get to CU vs CSU, Broncos, or Rockies games without worrying about traffic or high parking fees. Hunter’s Glen is located in the well-rated Adams 12 School District. The elementary, middle, and high school in Adams 12 are less than two miles from Promenade at Hunter’s Glen Apartments.